This guide contains a complete walkthrough for claiming and upgrading the Fire Staff in Origins. 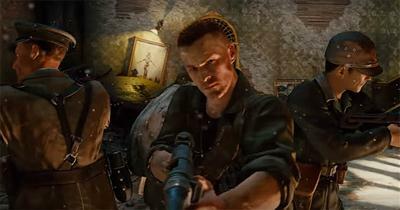 Originally the concluding part of Black Ops 2 zombies, Origins was remastered for the Zombies Chronicles collection in 2017. The guide includes all the necessary part locations, upgrade steps and screenshots to ease you through the process. Of all the starves, the Fire Staff is probably my favourite. 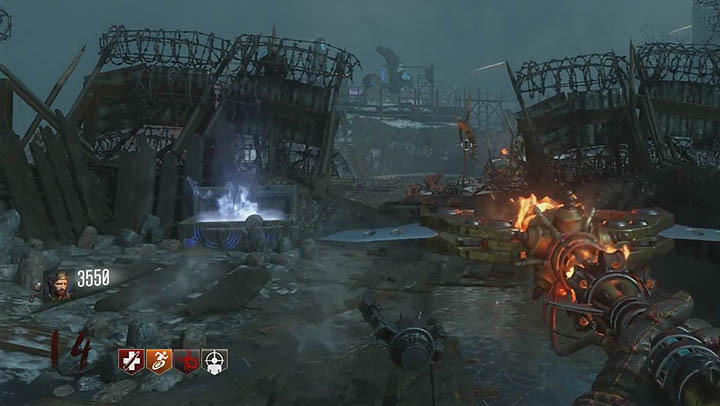 It's base version is powerful enough to withstand high rounds, it's charged attack can one kill a Panzer whilst the upgraded version has a trap mechanic that allows you to plant a fireball that melts nearby zombies for a short duration. Like other staffs it provides a one hit melee kill until round 16. 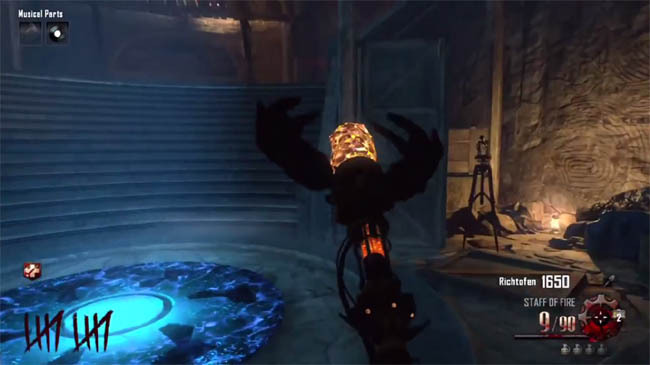 Upgrading the Fire Staff is also relatively easy compared to the others, requiring the player to solve a simple riddle and collect zombie souls in two crazy place locations. Like the other staffs, the Fire Staff requires 3 parts, 1 coloured disc, 1 black disc and the Gramophone. For obvious reasons the parts and the disc are RED and the portal that takes you to the Crazy Place is also RED. Part 1 - Drop from killing the Panzer boss (spawns after round 7). Part 2 - Reward for powering up Generator 6 (behind church). Comes from the Soul Box. Part 3 - Drops after shooting down the plane on fire. Look into the sky around the excavation site for the flaming plane which usually spawns after opening the route to the church. Once you have the parts, discs and gramophone, go to the Speed Cola side from spawn. Go down the tunnel immediately on your left, place the gramophone on the table at the bottom and wait for the red portal to build. Head into the crazy place, get the crystal from the red pedestal and leave the crazy place by rebuilding the red portal. Finally, go back to the central excavation site, go to the bottom level and build the Fire Staff in front of the statue. Go through the red portal to the crazy place and stand on the metal grates beside the cauldrons, right in front of the fire portal exit. Kill roughly 20-30 zombies and watch closely as puffs of smoke appear. Each of the cauldrons should have a lit flame to signify they are complete. First number is always 11 or 5. Last number is always 4. Now go downstairs where the tank is and shoot the torches on the wall (using the Fire Staff) in the correct order based on the numbers you read upstairs. Go to the bottom of the excavation site and take note of the four mechanical rings floating there. Each ring has four coloured gems on the side. Rotate each of the rings until all of red gems are aligned. To do this, use the four switches which are also at the bottom of the excavation site. Each pull of a switch will rotate a particular ring. These switches are on the wooden walkways or beside the main path leading downstairs. Once all four red gems are aligned, shoot the floating red orb that appears at the bottom of the rings. For this part ensure you have a decent weapon, preferably a PaP'd version with Speed Cola, Jug and maybe the shield to cover your back. Go back to the Crazy Place using the red portal and place the staff onto the red pedestal. Now kill 20-30 zombies in close vicinity to charge the staff. Listen for Samantha to say "The elemental fire is yours to command, finish what has begun." The job is done so pick up the upgraded Fire Staff and enjoy! !